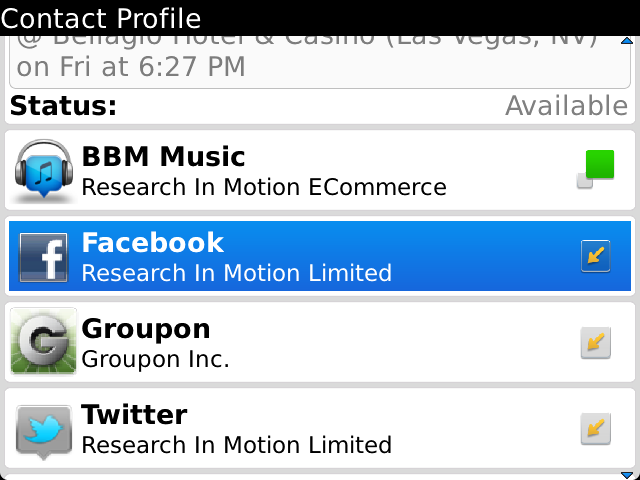 Well it looks like Twitter for BlackBerry will join other popular apps such as foursquare, Screen Muncher, Groupon and become “BBM connected”. Apparently this feature is currently in testing and will be beta released soon, but no word on when it’ll be publicly available. Twitter for BlackBerry is already very social, but will become even more so and give BBM users the ability to instantly share “the things you love” within the app.